Kelly, RD August 2, 2017 UncategorizedLeave a Comment on Oops! I forgot Taco Tuesday! We have been doing Taco Tuesday forever! I don’t even know how it slipped my mind?! Could it be the constant need for attention and minute by minute planned activities in addition to the impossible idea that I might be able to go to the bathroom alone, much less complete a single thought that comes with summer days? Ahhhh… quite possibly. But, I don’t think I will be making that mistake again because the kids certainly remembered and they were noooot happy! You may have thought it was the end of the world as they know it. We had homemade chicken noodle soup instead. 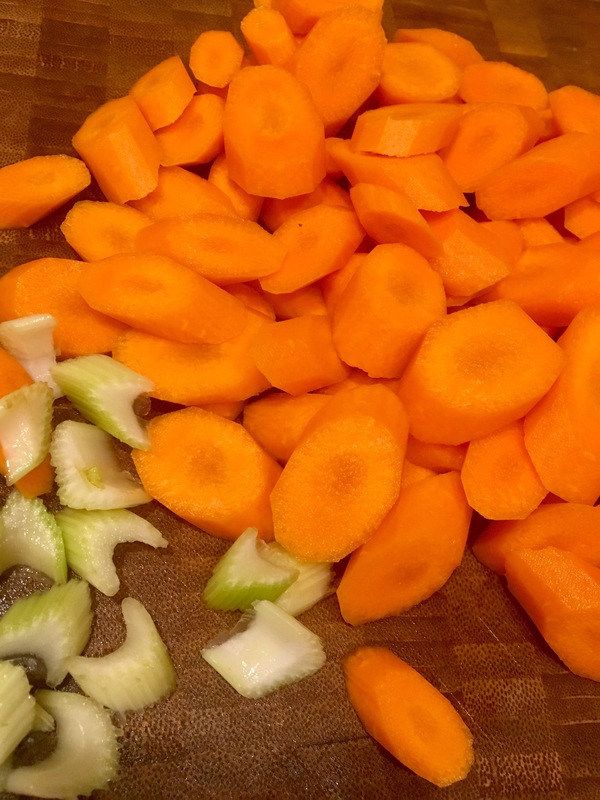 I use a whole package of organic carrots to get at least a serving of vegetable in every bowl. 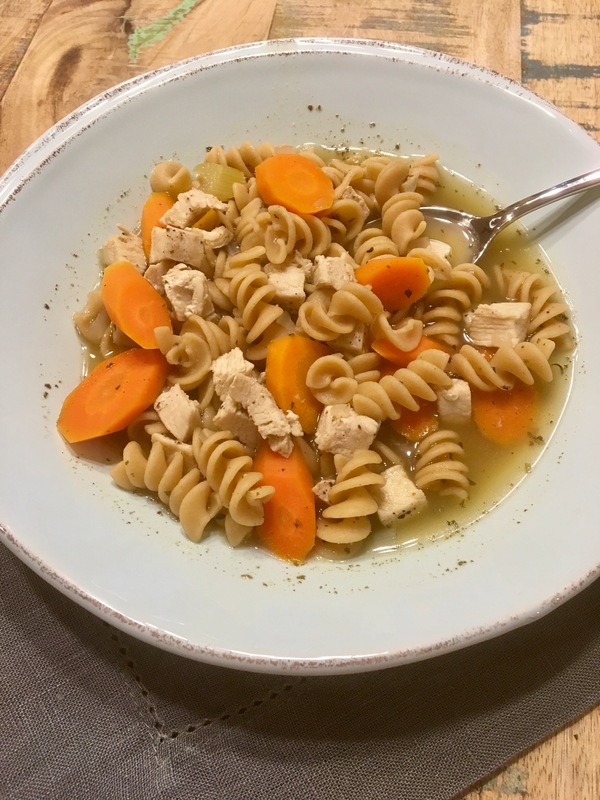 I use fat free chicken broth, lean chicken breasts and whole grain noodles. I pre-cook my chicken breasts. I have found the best method for the juiciest chicken breasts on http://thekitchn.com. I always temp my chicken with a thermometer to be certain the thickest part of the breasts are at least 165 degrees. I followed the directions on the site exactly, but, I had to cook the chicken a little longer to reach a safe internal temperature. Luckily, the kids liked the soup and forgave me for my taco blunder. 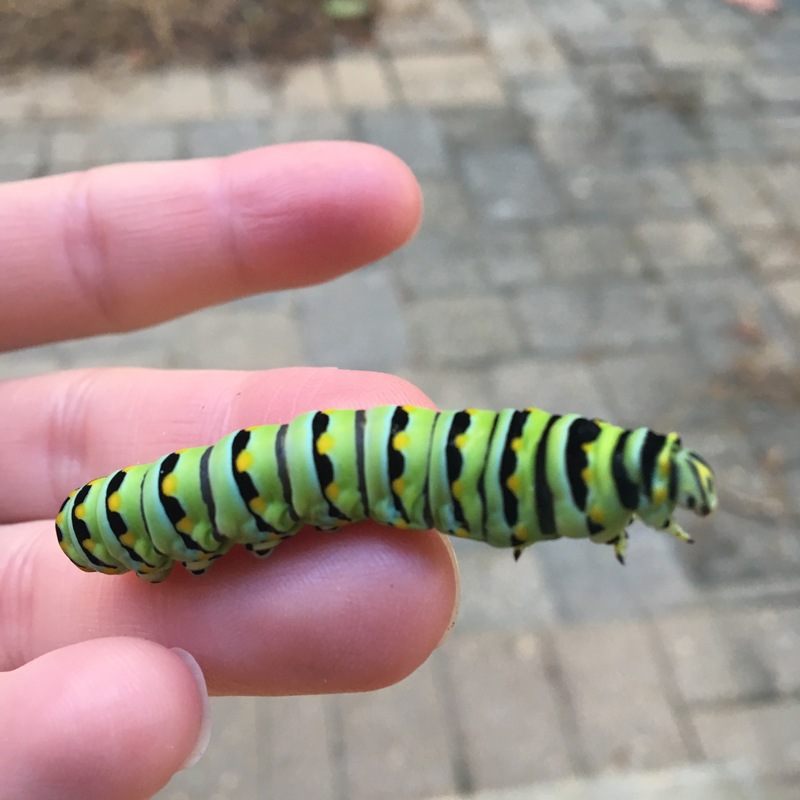 I would have topped with fresh parsley from my herb garden but, this little fella ate it ALL! If you feel overwhelmed by all the nutrition advice, calorie recommendations and diet trends, read these: Fact. Not Fad., Let’s Crunch Numbers!, Help Me To Help You!